Temperament: Very playful and loving. Other information: Good with kids and other cats. The handsome Samwell Tarley and his five siblings were born to a stray mother cat who was struggling to care for her young litter on the street in the fall, just as the cold weather was setting. 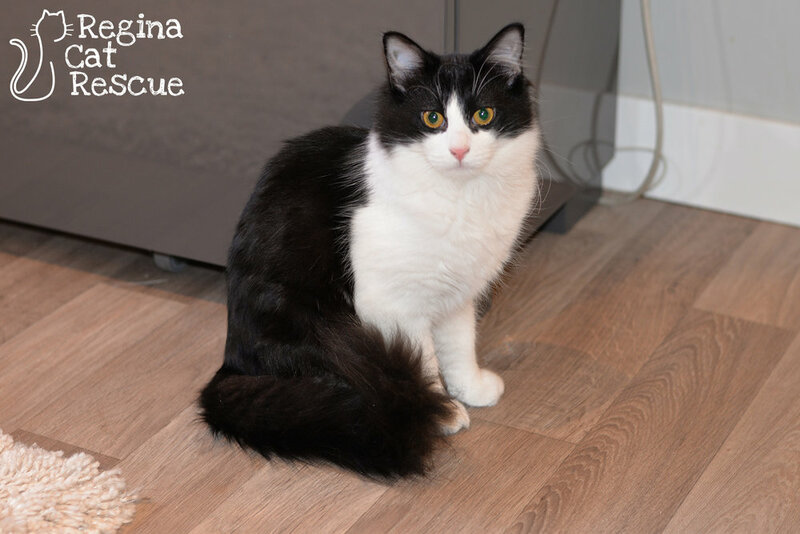 Thankfully, a kind citizen alerted Regina Cat Rescue to their plight and the family was quickly placed into foster care. 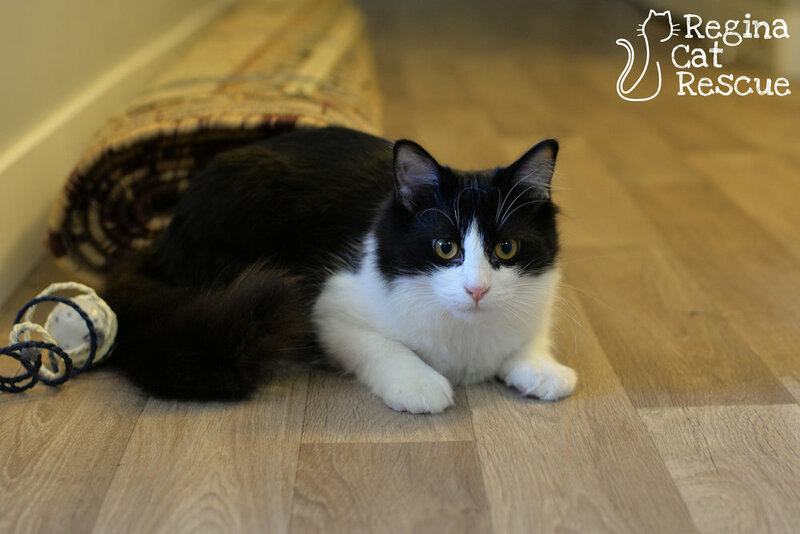 Samwell is an easygoing and friendly kitten who loves people and loves to play. He is a fun and active young kitten who is well socialized with people - including children - and other cats. This little fellow will make a great family pet and will reward his lucky adopter with a lifetime of love. His easygoing ways make him a good fit for almost any sort of cat loving home. If you are interested in Samwell click here to view our adoption contract and click here to complete an adoption application or email the RCR Adoption Coordinator at rcradoptions@gmail.com for more info.